Maybe you watched the final launch of the Space Shuttle Atlantis in July, listened in dismay to the news of possible layoff of thousands of NASA workers, and worried that these events might signal the end of the United States space program. True, budget cutbacks may have forced some hard choices for NASA, but the space program’s not dead; not by a long shot. In fact, over the next year, planned missions include the launch of unmanned spacecraft to study black holes in space (NuSTAR), conduct gravitational mapping of the moon (GRAIL), continued exploration of Mars (MAVEN) and Jupiter (Juno), as well as several manned visits to the International Space Station. Supporting that effort is NASA’s Goddard Space Flight Center (GSFC) in Greenbelt, MD. At the GSFC, the focus isn’t so much on the rockets or even the people who fly in them – instead, it’s all about what those rockets carry; the payload. That’s because the Goddard Space Flight Center designs, builds, and operates satellites and scientific equipment such as the Hubble Space Telescope, GOES weather satellites, LandSat earth imaging systems, the SOHO solar observatory, and many others. A big part of the GSFC’s capabilities comes from their Advanced Manufacturing Branch (AMB). 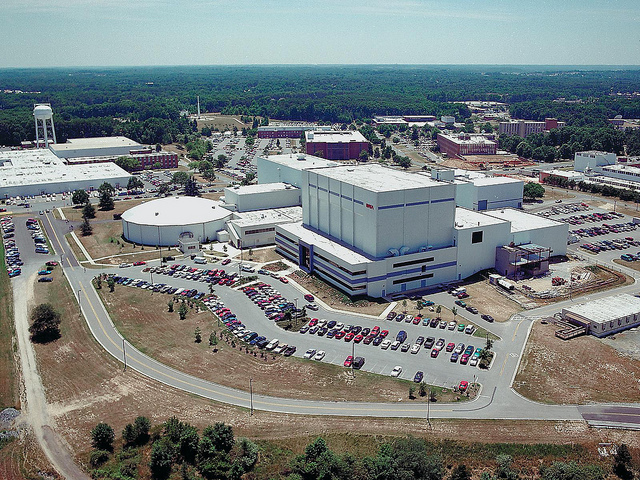 As its name implies, the Advanced Manufacturing Branch is an advanced manufacturing campus located at the GSFC, providing broad machining, fabrication, and assembly services to support Goddard’s scientific and engineering community. Their equipment list is extensive, and includes Amada CNC punches and brakes, gaging systems from OGP, Mazak turning machines, and AgieCharmilles multi-axis high speed machining centers. And with in-house metal finishing, composite layup and curing, rapid prototyping, precision assembly, and more, there’s not much they can’t handle. This entry was posted in Shops, People and Places and tagged advanced manufacturing, goddard space flight center, NASA. Bookmark the permalink.